We all enjoy having online access to any number of informational channels. For example, being able to quickly find, obtain and read books of all kinds from online resources is incredibly helpful and enjoyable. Whether it is one of the classics of literature or some obscure textbook needed for a project, it is nice to gain access online. 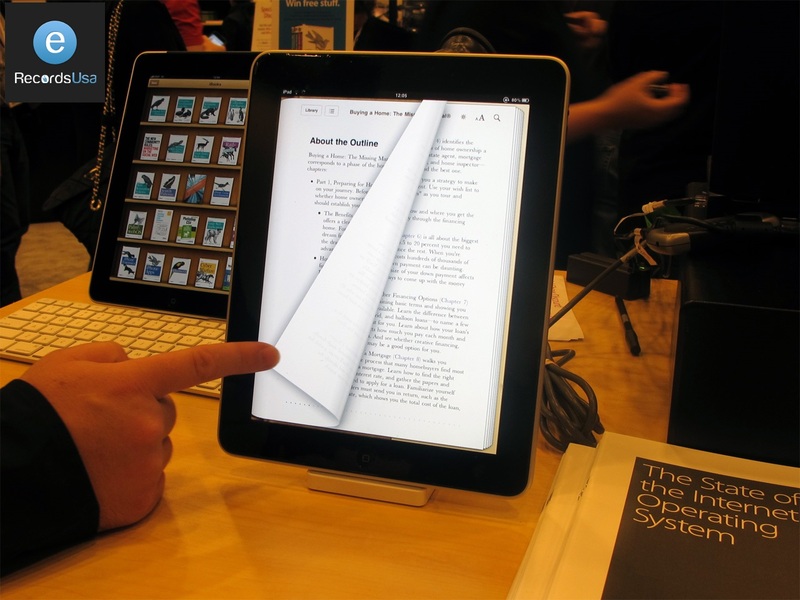 If you provide access to such books, you may want to consider the many ways you can benefit from a digital book preservation service. Clients of eRecordsUSA turn to the firm for scanning and digitizing of any kind of book imaginable. From historically relevant and fragile volumes to legacy materials relating to a personal genealogical survey, they can provide a reliable and straightforward way to protect and preserve the information (images and text) within books. What happens after those scans are done? While the files are formatted per the client’s request (such as a searchable PDF or WORD document, JPEG and so on), they also return to the owner. Both the hard copies and a DVD or CD of the scans are in the hands of the original owner, i.e., you. >> You are not at any remaining risk for loss because thedigital book preservation service puts the files on a cloud, ensuring they remain safe and accessible for decades to come. >> You do not have to manage use of the files because eRecordsUSA makes it amazingly easy to provide access and sharing of data through their simple to use servers. >> You do not have retain or use servers or virtual servers, cutting costs and labor requirements. Naturally, there are so many other reasons to consider book scanning and online storage, and you can discover more by getting in touch with eRecordsUSA. eRecordsUSA is also specialized in providing Book Scanning, High Resolution Book Scanning, Bound Book Scanning, Legacy Books Scanning Services, Book Archival Service, Oversized Books Scanning Services and more. Would you like to receive a free quote for Digital Book Preservation Services? Call +1.855.722.6669 or eMail us at info@eRecordsUSA.com.